The Iron Craft challenge this week was to make something that you could wear or use at a picnic. This challenge actually lined up perfectly with something I was already planning to make, which was some pillows for our backyard. I’d been thinking about getting some outdoor fabric, or using a plastic tablecloth or something, when husband said I should make some pillows out of terrycloth. It’s washable and cheap, and you can find towels in all sorts of colors, so why not? 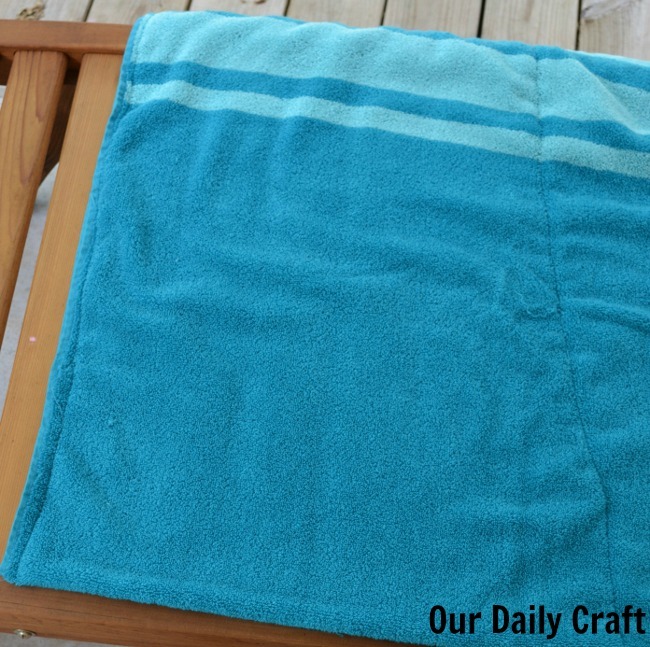 I picked up some cheap towels from Target (this is one of the ones I bought, though in the store you can just get the towel; I think it was about $5) both solids and with stripes. 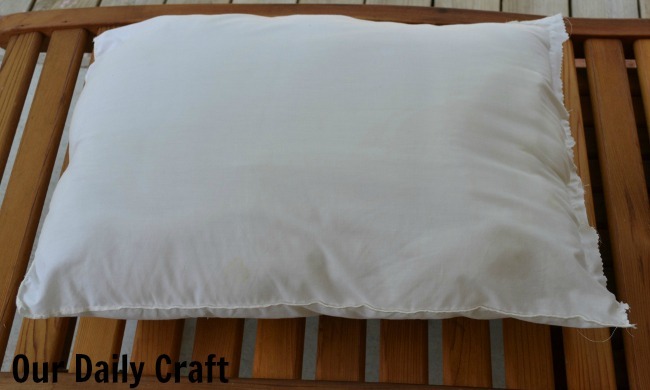 I had this old body pillow I hacked in half to make two big pillows. Hacked is exactly the proper word for it, too. It was not pretty at all. Sewing up the side seams once I’d hacked it open was not pretty, either, as you can see from that raggedy pinked edge over there. But no one will see the pillow forms, so it’s fine. It happened that the pillows just fit into the towel if I folded it up longwise over the pillow. So first I sewed along one side, with the side I wanted to be the front on the inside. In a fit of paranoia I sewed the second seam before I trimmed the excess towel away. I did a fine job sewing the first one straight, but the second time I both made an incredibly crooked seam and ended up with a case that’s a little too small. But I think ripping that seam may involve heavy drinking, so that’s where I stopped for the day. 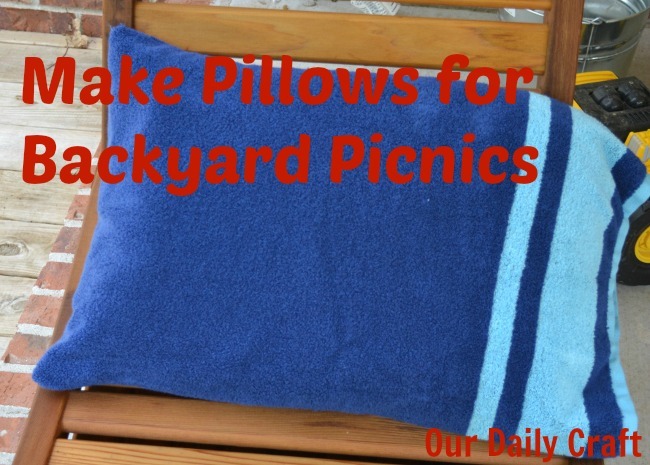 Still, we have one really cute, super easy pillow to use when we have picnics in the backyard, and I have a few days to make a couple more before the weekend. We are suddenly big backyard picnic people now that our renovations are done. Do you like to picnic in your backyard or elsewhere? What’s your favorite picnic food? That’s great & using towels is such a good idea because they are so easy to wash.